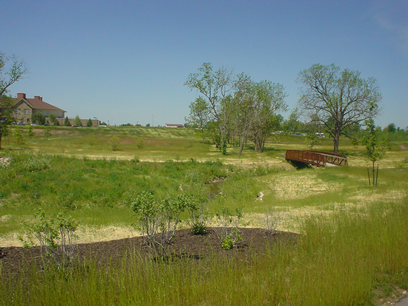 The Tallgrass Creek Retirement Community is a 65-acre development in Overland Park, Kansas. 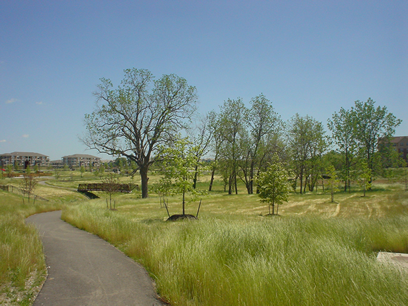 The facility provides a full range of recreational amenities for its residents, including outdoor activities such as golf, gardening, and hiking and biking trails that showcase the preservation and restoration of the Tomahawk Creek tributary. 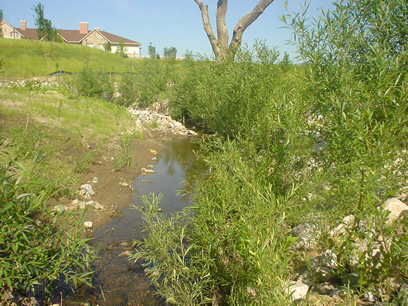 Intuition & Logic provided the geomorphic analysis and channel stabilization and restoration design of approximately 2,000 feet of meandering stream. 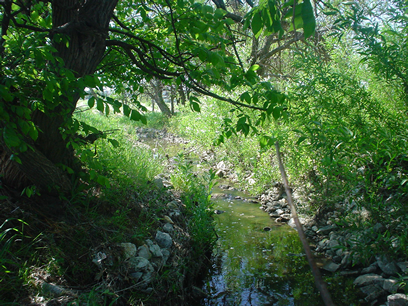 The dominant process driving instability in the channel was incision. 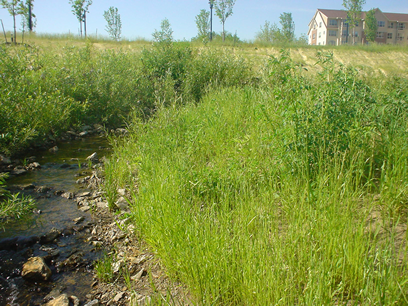 Two prominent knickpoints were identified, each standing 3 feet high in consolidated clay bed material. 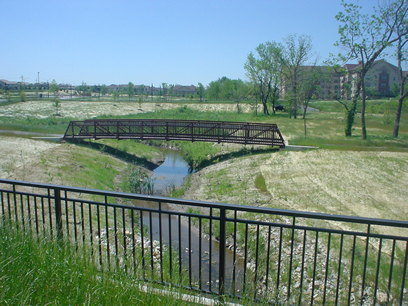 Because of the height of each knickpoint and the onset of widespread bank failures due to channel widening, the preferred method of stabilization was to restore the channel to a stable meandering alignment. 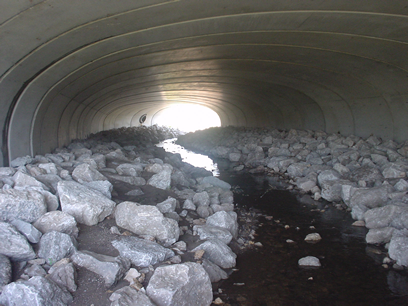 In order to stabalize the banks,1,300 feet of channel was restored in place and 700 feet was re-aligned. 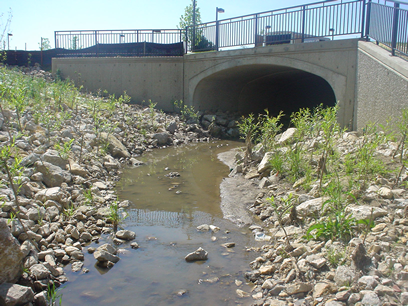 Grade controls prevent future incision and composite revetment was used in the preserved sections to add stability and enhance the riparian corridor. 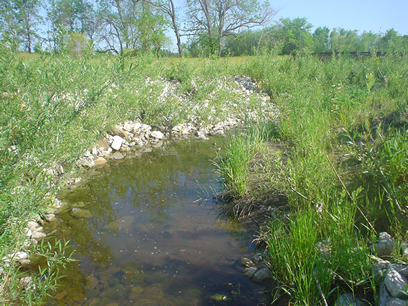 Channel structures focus the flow and imitate natural riffles and pools in the stream while native riparian vegetation creates a robust stream bank and riparian corridor. 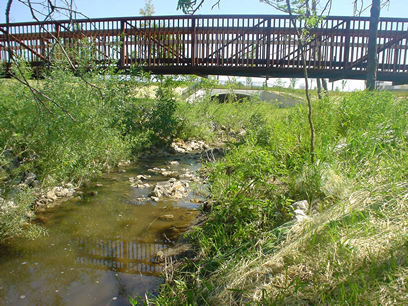 The aesthetics of the restored stream was an important component of the design, since a proposed trail system will bring residents and visitors to viewing areas along the stream corridor. 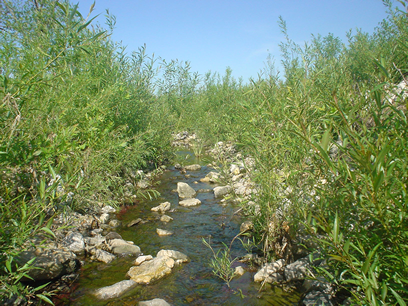 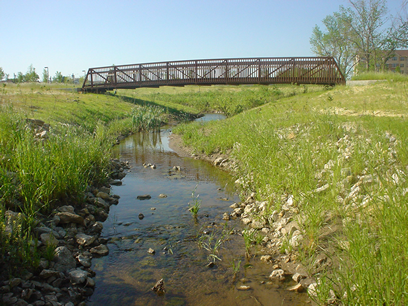 A plant palette of indigenous Kansas prairie and riparian forest species was developed to improve the aesthetics of the meandering stream and natural surroundings.